There’s been quite a bit happening in the 4 weeks since our last post, just not much craft beer-related activity to report upon. That isn’t to say that we’ve been practicing some form of teetotalism – far from it actually, with the week-long Sziget Festival bookended by a few days (re)testing out Budapest’s bars. Then there was the trip to north Serbia to attend a traditional Hungarian wedding in Bačka Topola, followed by the celebration of Slava in Bačko Gradište. After all that, fortunately there was some time to chill out in Rome and Lido dei Pini (in Lavinio, 35km down the coast) in order to help our livers return to a respectable size. Simone set up Beer Travels 5 years ago on the back of a self-taught love of craft beer which started through collecting beer bottles from different breweries (his collection currently stands at around 3,000!). Beer Travels is a not-for-profit association and while there are several similar societies in Italy, his was the first to organise travel based around craft beer. Beer Travels organise Italian craft beer tasting every month or so, be it in a pub, club, restaurant or microbrewery and Simone expanded his operation by taking on 2 more beer lovers a couple of years ago to assist with demand. They also arrange day trips from Rome to various breweries around Italy and hope to increase this to weekend jaunts in the future. He mentioned that there are roughly 100 (out of 500) good microbreweries in Italy, with LoverBeer, Birrificio del Ducato and Turan his pick of the bunch, and that northern Italy is the best beer-producing region. 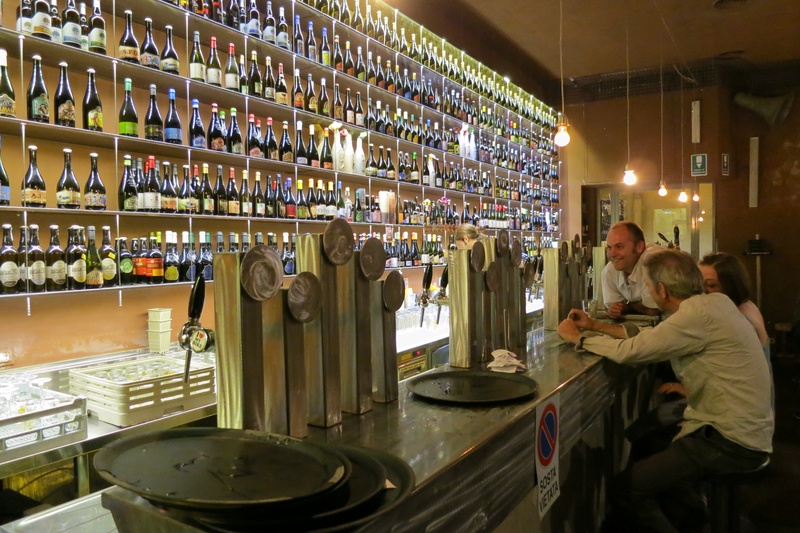 Simone first took us to Open Baladin, a large, classy venue that is co-owned by Baladin and Birra del Borgo, and has over 100 different craft beers on offer. Around 90% of their beers are Italian and we tried Birra del Borgo’s My Antonia (a collaboration with American brewery Dogfish Head) and ReAle. 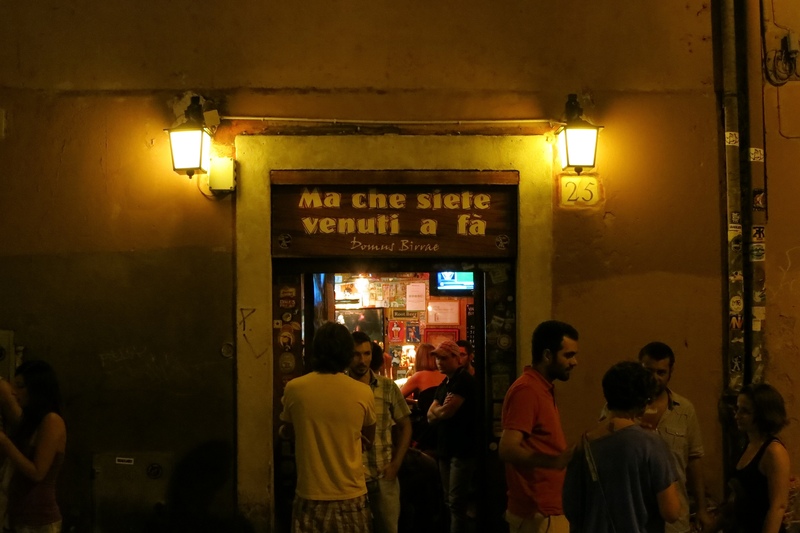 The next stop was Ma Che Siete Venuti A Fa’, a great little pub in the lively Trastevere district which couldn’t be more different to the first venue. Again we went with Italian options, testing out Brewfist’s Too Late (an Imperial IPA) and LoverBeer’s D’uvaBeer (a Fruit Ale which uses grapes in the brewing process). The following night we caught up with Simone once again. 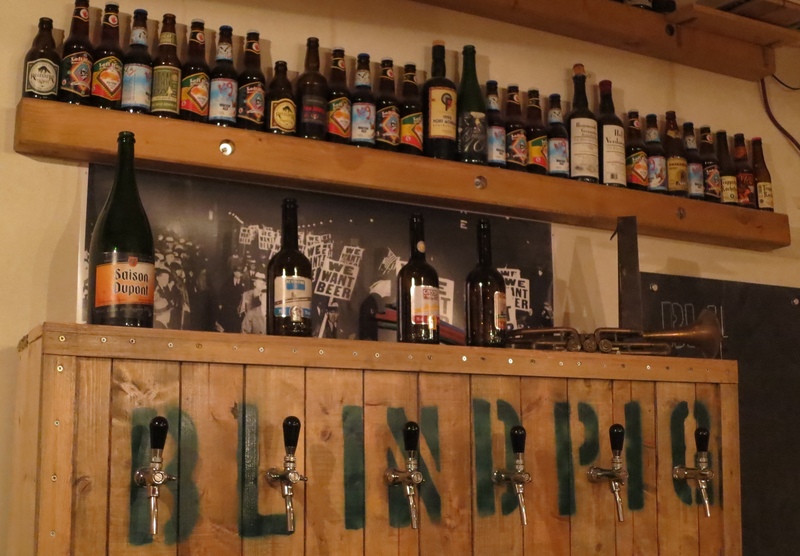 This time we went to the re-opening of another great pub, Blind Pig after their summer break. First up was 2 di Picche, a Black IPA brewed by Birrifico Menaresta and Marco Valeriani Produzione. We then shared a 750mL bottle of Toccalmatto’s Zona Cesarini, a Pacific India Pale Ale. While we missed out on one of Beer Travels’ tasting sessions, Simone’s recommendations for both bars and beers were spot on. Our next trip to Rome will definitely coincide with either one of these sessions or brewery trips.